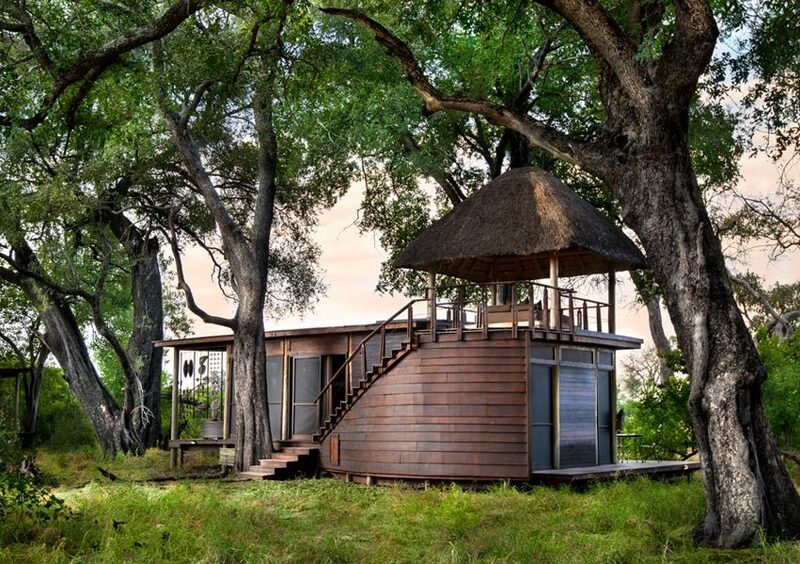 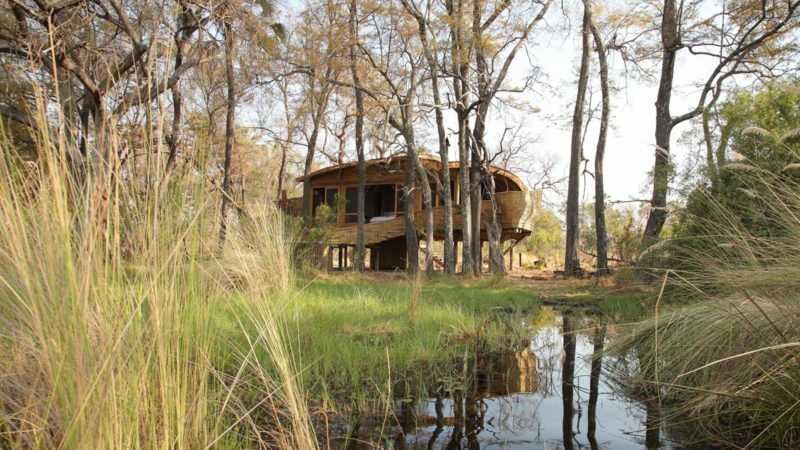 Inspired by one of the Okavango Delta’s most secretive inhabitants, the guest areas of &Beyond Sandibe Okavango Safari Lodge rise out of the trees clad in a wooden skin of shingles and timber that mirrors the pangolin’s body armour of overlapping scales. 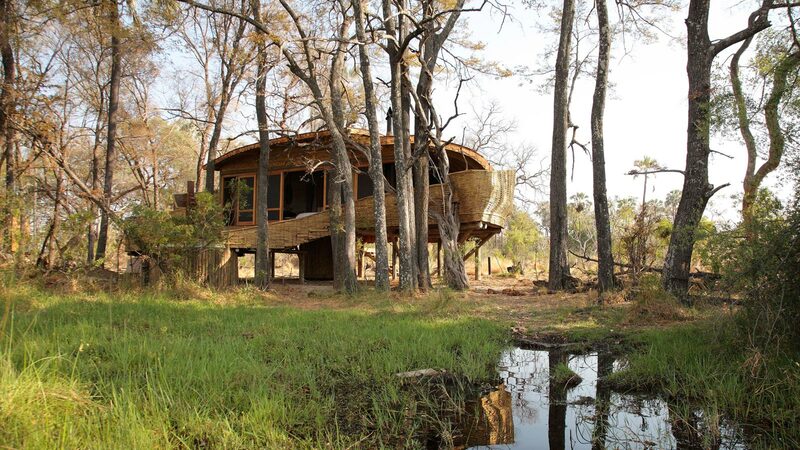 Organic and handmade, the lodge blends perfectly with its surroundings, becoming one with the Delta itself. 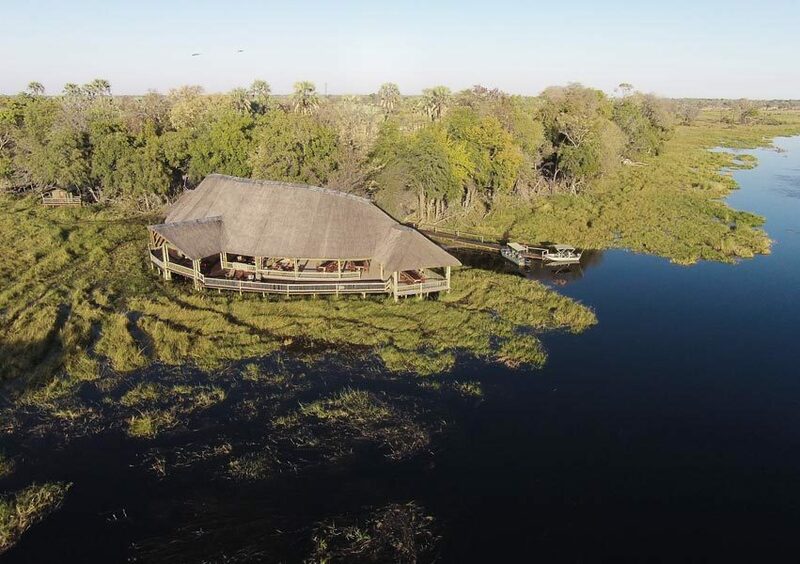 Situated on a private concession in the magnificent Okavango Delta, Sandibe boasts exclusive traversing rights over a vast stretch of land adjacent to the wildlife-rich Moremi Game Reserve. 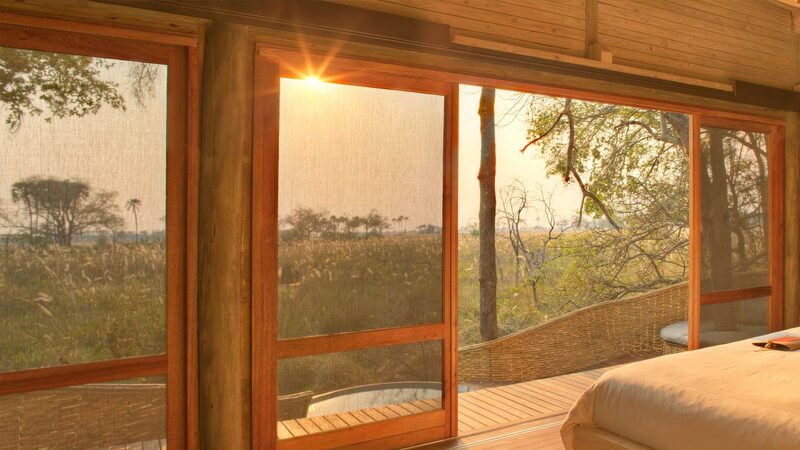 Inspired by nature and celebrating its stunning setting, the lodge features the best the Okavango Delta has to offer in terms of outstanding design, outstanding wildlife viewing and warm local hospitality. 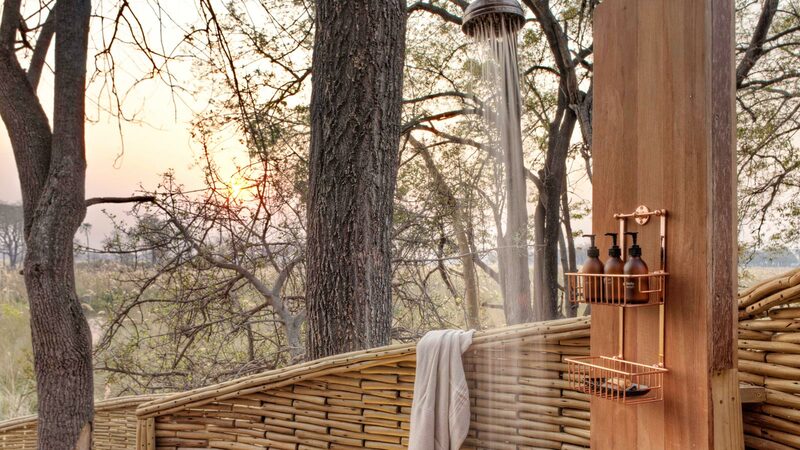 Set in a cool forest canopy of wild palms and gnarled fig trees,Sandibe lodge blends seamlessly with one of Africa’s most breath-taking landscapes. 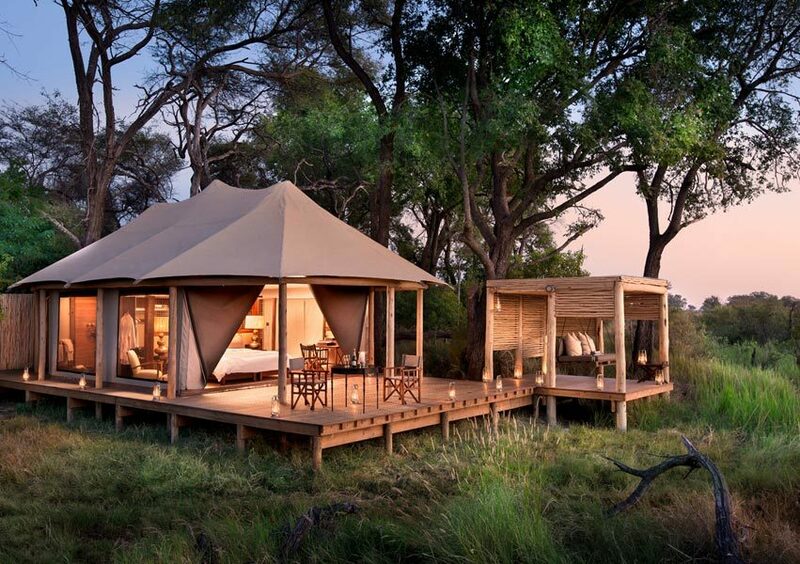 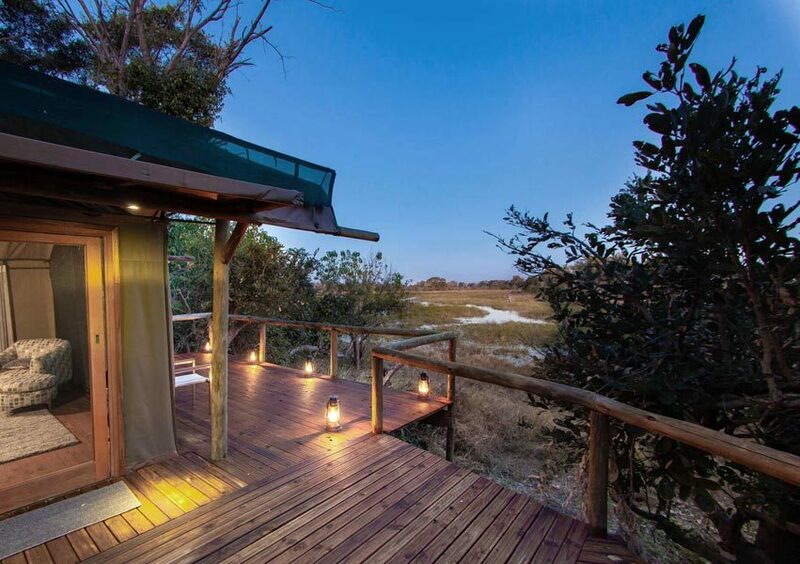 Behind the lodge, golden-grassed floodplains inhabited by a staggering variety of wildlife stretch into the distance, framed by lush palm islands and the spires of giant termite mounds. 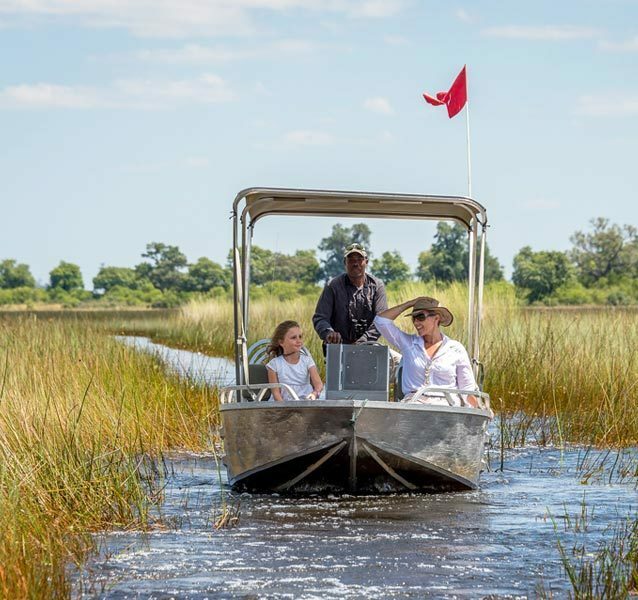 A channel of clear, cool waters runs directly in front of the elevated guest suites, offering unrestricted views over the shimmering beauty of the Delta. 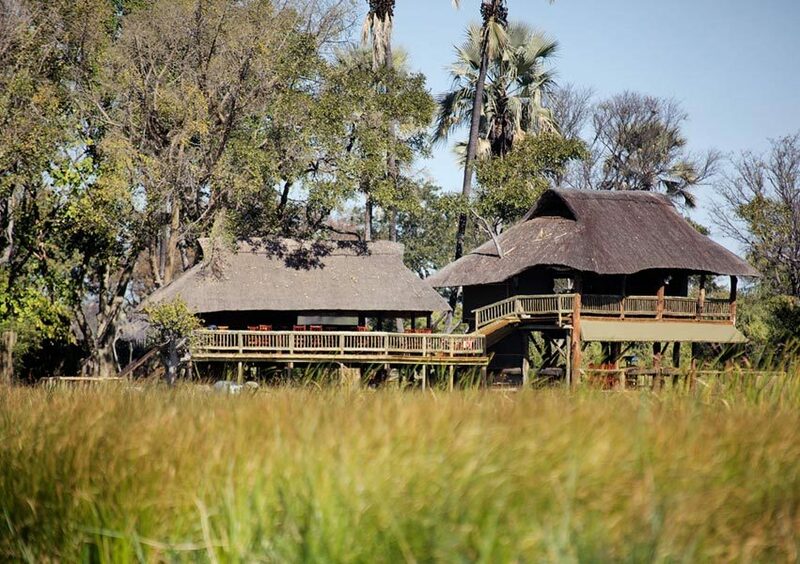 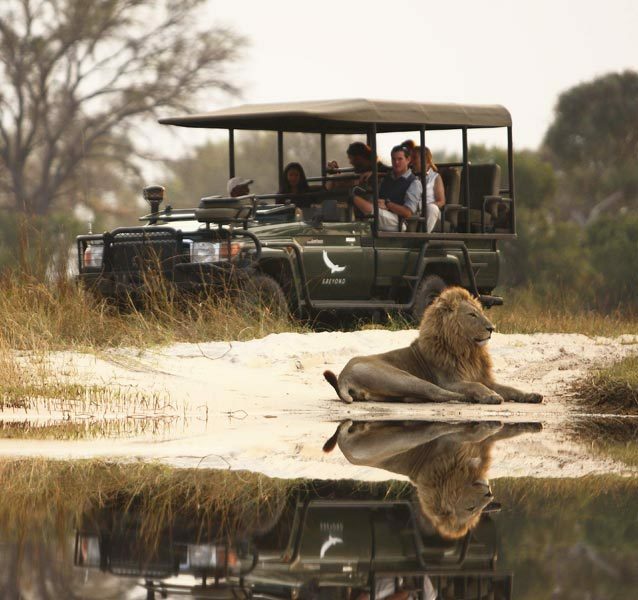 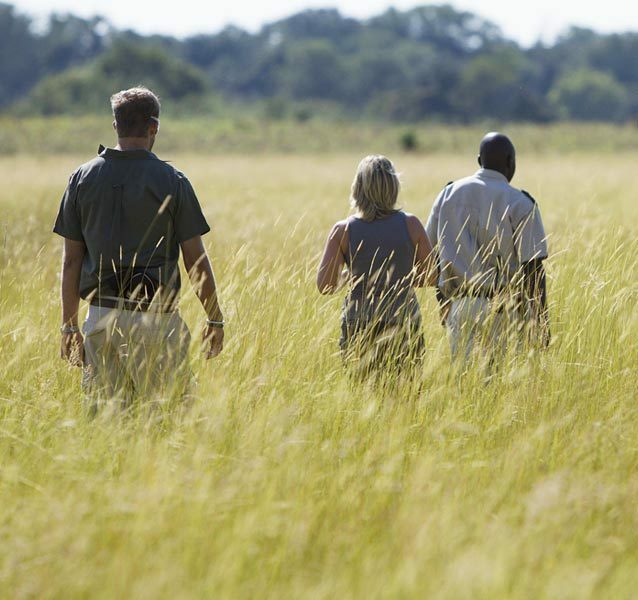 Adjacent to the Moremi Game Reserve, the lodge offers some of the most exceptional wildlife sightings in the Delta, which guests can enjoy on day and night safaris, as well as bush walks. 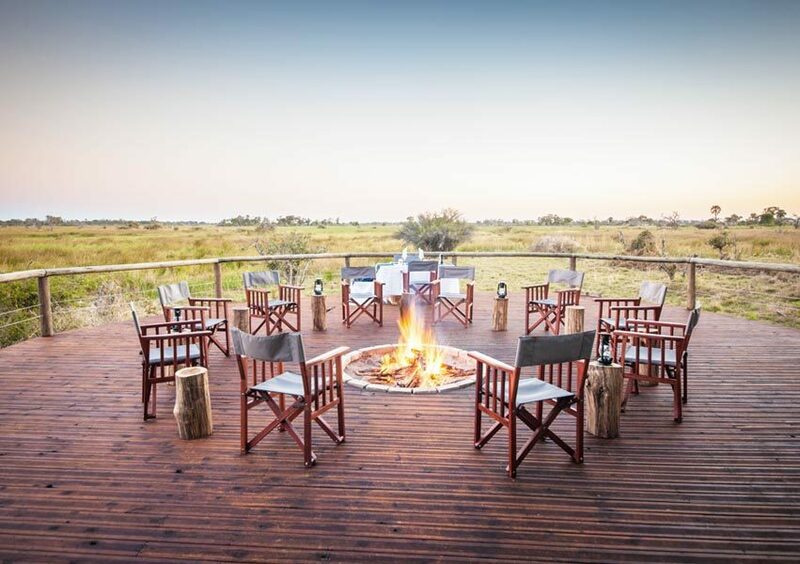 The lodge is perfect for adventure-seekers, wildlife enthusiasts, photographers, first-time or repeat travellers, nature lovers, couples and families. 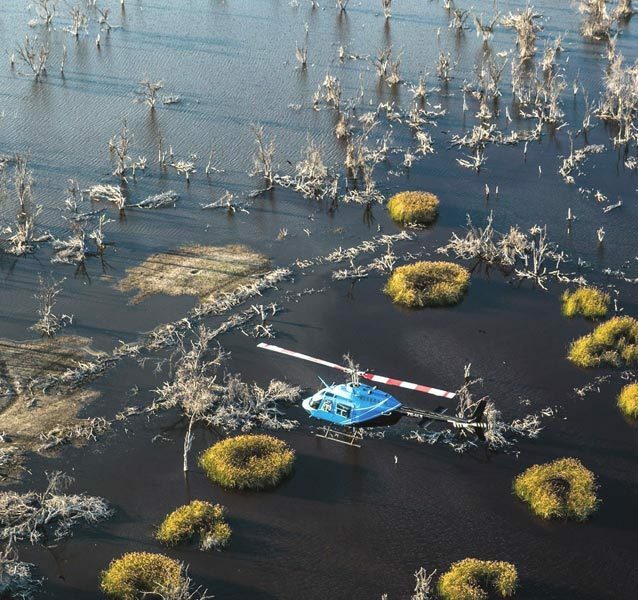 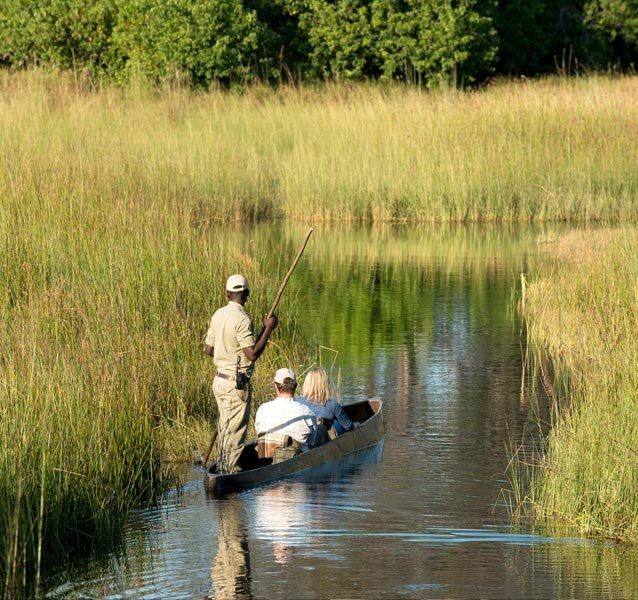 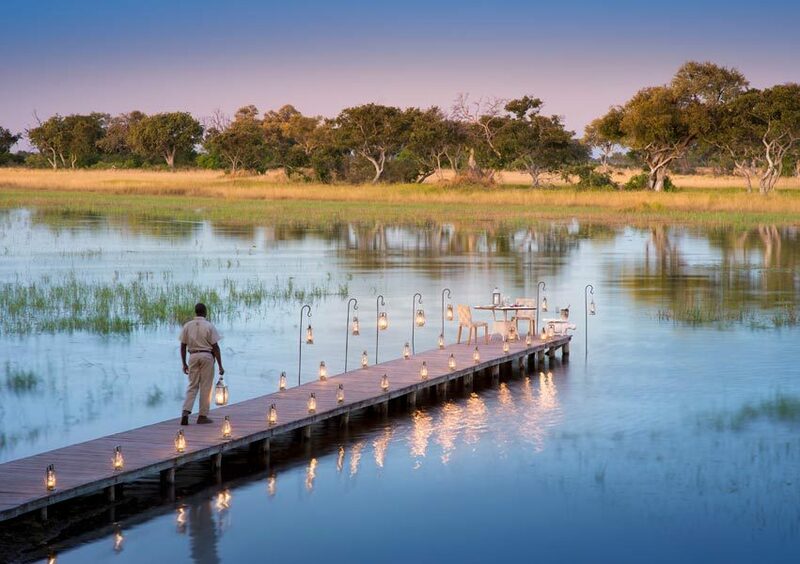 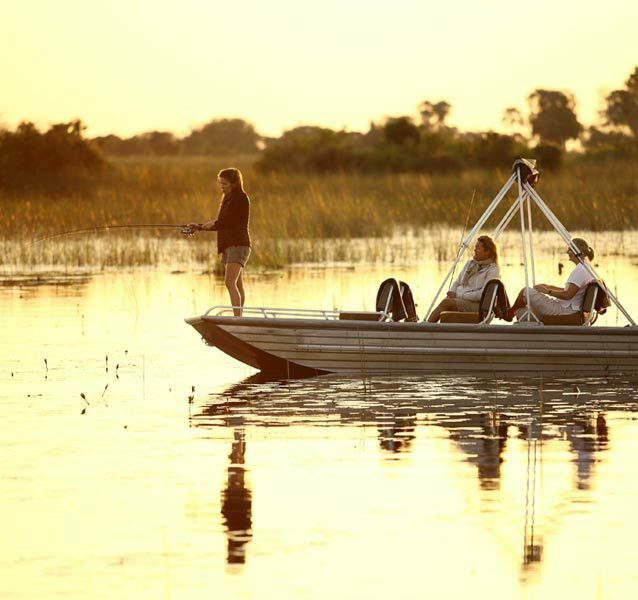 Sandibe is situated on the edge of the Delta’s permanent waterways, which means that the areas where game drives and walks take place always remain accessible, even when the Delta waters are at their highest. 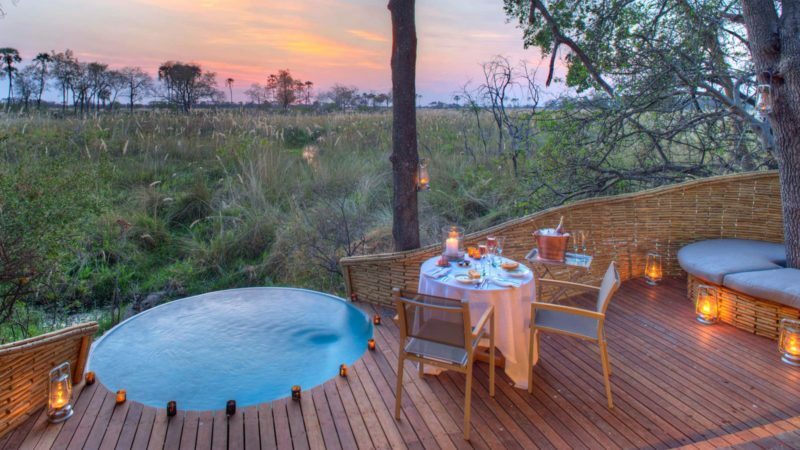 Twelve elegant and intimate suites are raised above the papyrus like the nests of golden weaver birds and feature magnificent Delta views, as well as private plunge pools, cosy fireplaces and secluded nooks. 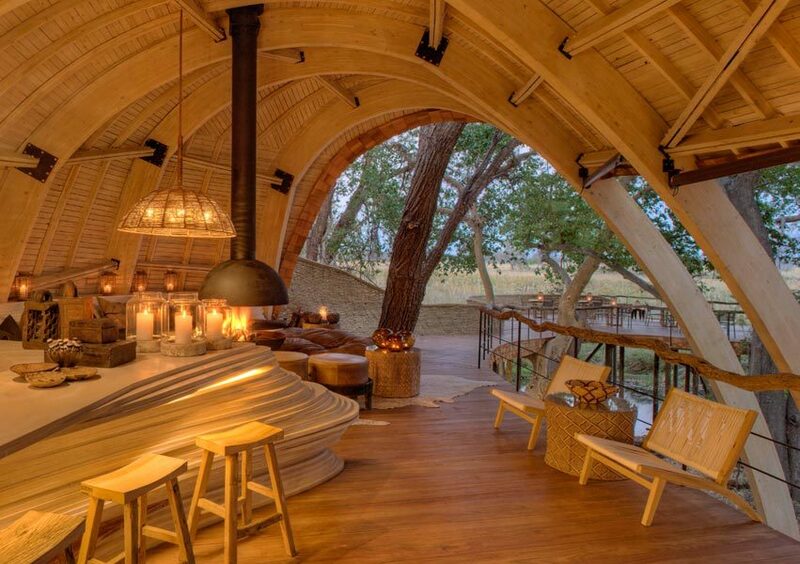 Inside, the rooms become cocoons at night, with fireplaces for winter use. 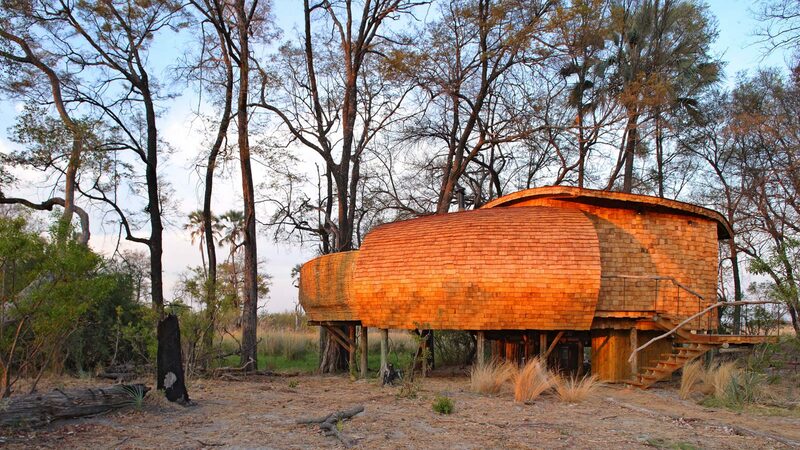 Interiors celebrate Botswana craft with pieces that include copper-clad mekoro, basketware and sculpted wooden tables. 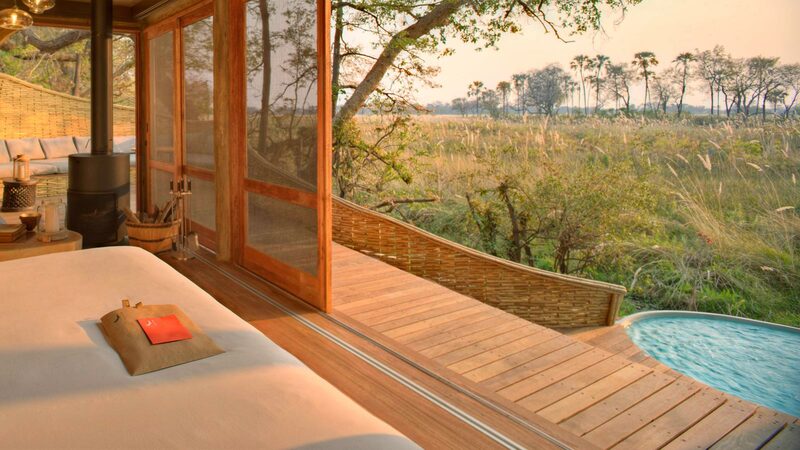 Boasting one of the best wildlife experiences in the Delta, the lodge combines a magnificent natural location with an unusual yet beautiful design. 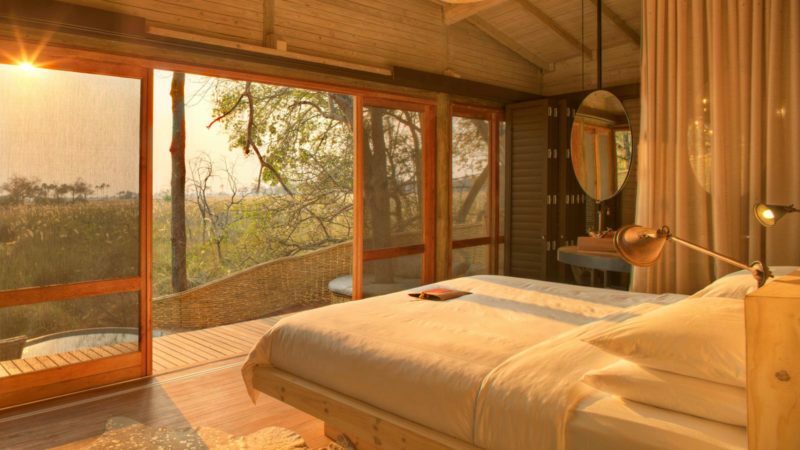 Sandibe is the perfect destination for group or family travel as the lodge boasts two spectacular inter leading suites that can accommodate two adults and two children (three on special request). 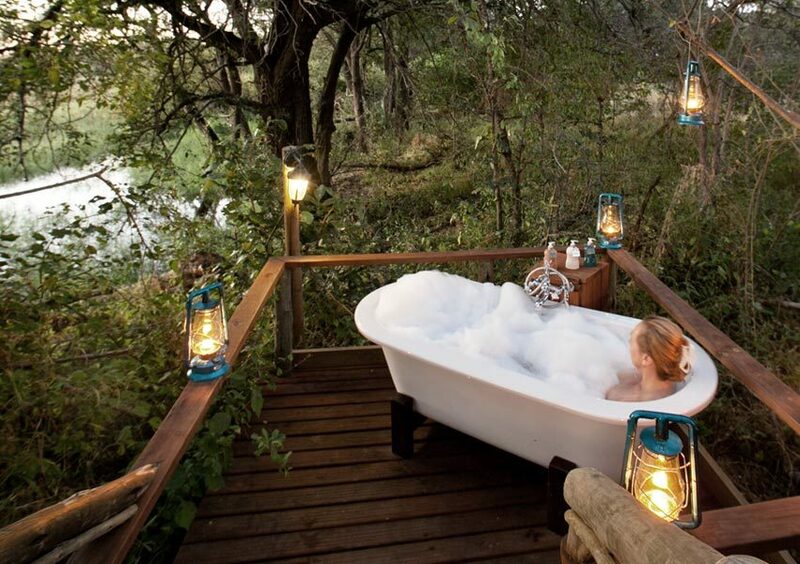 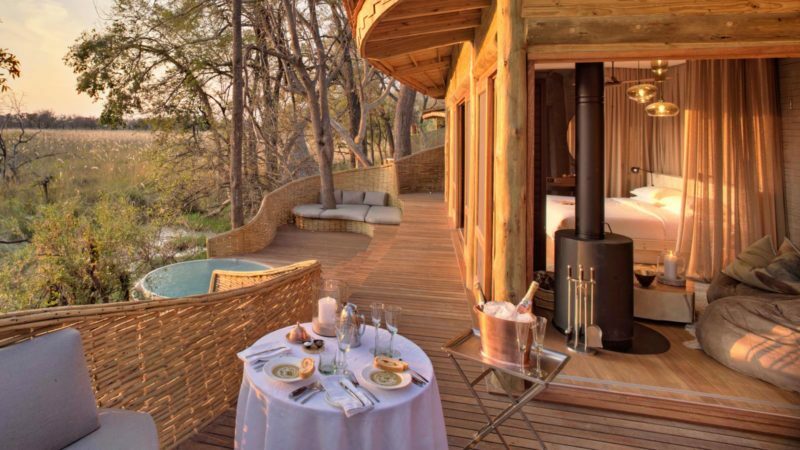 Each suite has a lovely ensuite bathroom, private plunge pools, cosy fireplaces and secluded nooks.